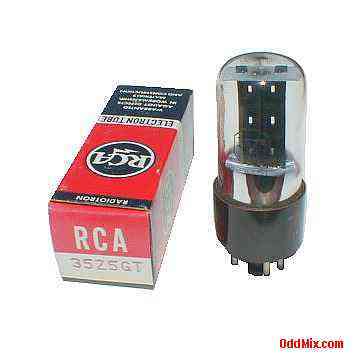 This is a genuine, vintage, no longer made, RCA Radiotron Electron Tube. These 8-pin octal tubes typically used as half wave rectifiers as power supply tube for ac/dc radio receivers and special purpose circuits. Useful for restoration projects or to set up a private vacuum tube museum. This tube is no longer available.